Yes! Sour Sally is an adorable and quirky girl who brings with her a range of U.S. Premium Non-Fat Yogurt to our shores! This yummy Indonesian based yogurt brand has finally come to Singapore! What makes this yogurt stand out from the rest is its 0 percent fat content and 4 exciting flavors. Now you don’t have to feel guilty when having a snack treat! If you like it natural, you could pick up the original flavor. In a romantic mood today? Try Pinklicious (strawberry). If you feel adventurous and want something new, Sour Sally’s Melon Mint will surely refresh your day and for all you traditionalist out there, green tea flavored yogurt is the way to go. Kiasu Singaporeans like me could choose a mixture of flavors too; you can pick up the Twist (Original + Green Tea) or the colorful Candy Mix (Melon Mint + Pinklicious). My mum likes it fruity and chose the Candy Mix while I am in love with the Twist. What delights me the most is the 24 toppings you get to pick from to complement the frozen yogurt! 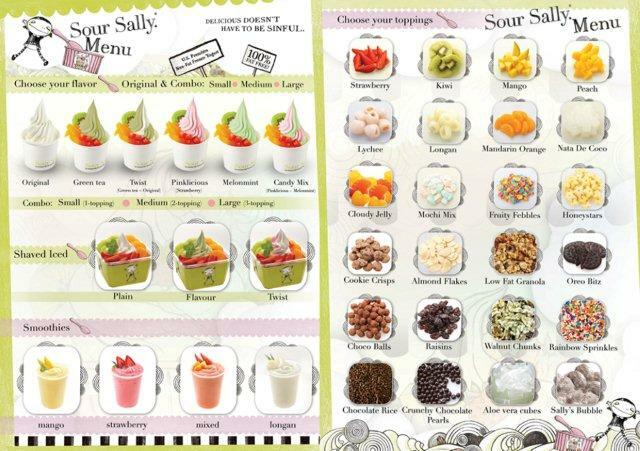 Apart from the classic selections (fruits, nuts and cereals), Sour Sally’s very own Mochi Mix and Sally’s Bubble create a totally new yogurt experience. Mochi Mix adds a subtle chewy sensation to your yogurt and Sally’s bubble, which looks like a golden pearls, burst in your mouth with sweet irresistible mango flavored concentrate. 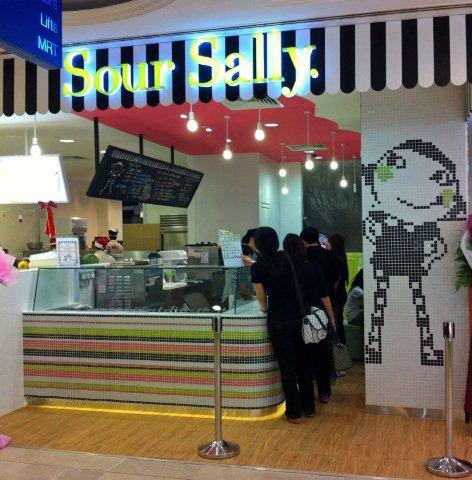 Sour Sally is located at Wisma Atria Singapore Basement 1, which comfortably seats 8. No doubt it is a pity that the space is quite limited but the good news is that more outlets will be opening in Singapore this year. The setting of the store is bubbly and is personified by a girl named Sour Sally. 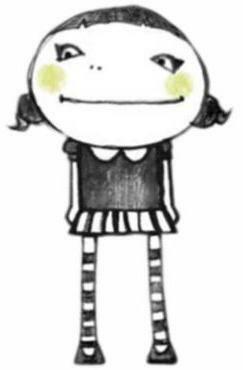 This cheeky little girl can be spotted a mile away with her black and white striped stockings. 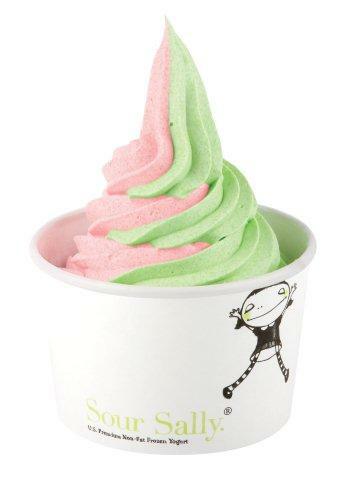 Check out an exclusive Sour Sally Promotion happening on The New Age Parents Facebook page this Friday (11/02/11) and stand a chance to win a cup of free yogurt! On top of that, you could also stand a chance to win Free Lifetime Membership cards in a Lucky Draw. 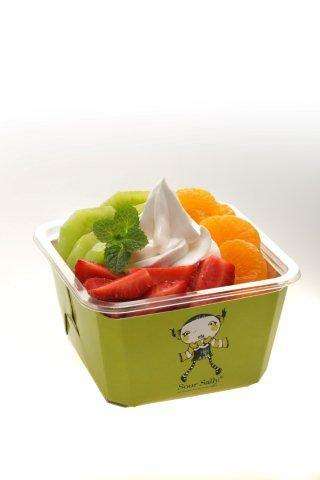 Join little Sally at www.mysoursally.com to discover the new amazing world of healthy yogurt treats. 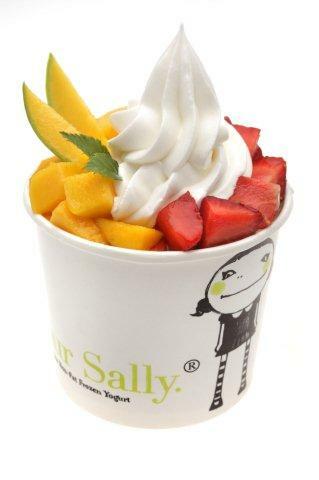 P.S Sour Sally also sells cooling shaved ice and richly flavored smoothies!